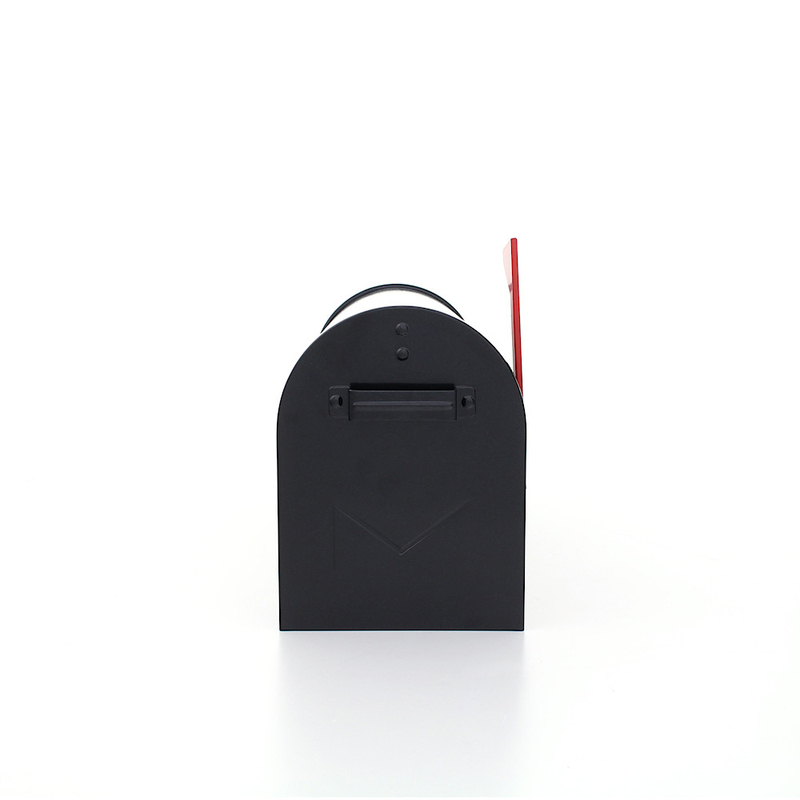 The Black Rottner Mailbox brings U.S. American flair to your home.The mailbox, which has the U.S. standard size, impresses with small details like the powder coated steel plate and the embossing on the flap.As is the case for a mailbox, a mechanical post-mail message is displayed when you have received mail.In order to open the flap more easily, there is a small handle.You love the USA - get yourself a little bit home! The Black Rottner Mailbox makes the hearts of all USA fans beat faster! The mailbox made from powder-coated sheet steel can be perfectly matched on the rack for Rottner mailboxes with a package compartment and will inspire you anew every day. Little red flag to indicate when you have mail.